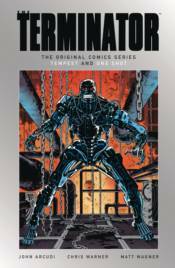 Heartless, mechanical cruelty meets dogged human courage and perseverance in Dark Horse's very first Terminator story! John Connor sends a strike team into the past to destroy Cyberdyne. But the machines counter by sending a team of Terminators to block the attempt - turning Los Angeles into a war zone! Collected in this volume are The Terminator #1-#4 ('Tempest') and Terminator: One Shot, by writer James Robinson and artist Matt Wagner!